Red Ozier Dogwood Live Stakes is highly adaptable and forgiving for even the less experienced gardener. Red Ozier Dogwood - Cornus sericea. 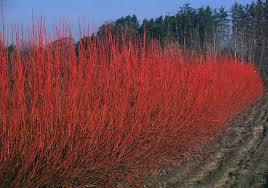 Red osier dogwood is a flowering plant species native to western and northern America. When grown in the wild, the plant generally sprouts in wetland areas and other places with damp soil. The species is a deciduous shrub which can grow from medium heights to taller heights. It spreads and forms dense thickets due to its underground stolons. The plant has dark red twigs and branches, and the leaves grow opposing each other. The leaves have an oblong or ovate shape and dark green coloring on the top. In the fall, the shrub's leaves turn purple and bright red. Because the Red Osier Dogwood grows in hardy zones 2-7. It prefers full sun but does well in part shade(at least 4 hours of full sun) as well. The soil requirements are acidic to alkaline soil that is wet, for the Red Osier does not prefer dry soil. This is why they are frequently found in swamp areas around the United States. The mature height for a Red Osier Dogwood is 7-9 feet. It grows the fastest vertically, gaining a length of 24 inches each year. The shrub grows up to 10 feet wide, but its growth is a much slower rate from side to side. For landscaping, the Red Ozier Dogwood Live Stakes is best used as a hedge for privacy or decoration. Many people prefer it for their wintertime foliage, as the bright red color of the tree contrasts with the white snow, making for a festive yard. Some gardeners have even used this tree as a lovely addition to rain gardens, because of the moist climate and wet soil. Red Ozier commonly called the bloodroot because of the stems being a bright red color. The inside part of the bark on this tree was once placed into pipes and smoked by the Native Americans. The thickest part of the stems and branches were used as pipes. This tree was also once known to be used in making red dye. Lots of wildlife animals love this plant, moose, elk, and deer all love eating the leaves and branches because of their nutritional value. Pruning is recommended once a year for maximum growth. Color is what this tree produces. 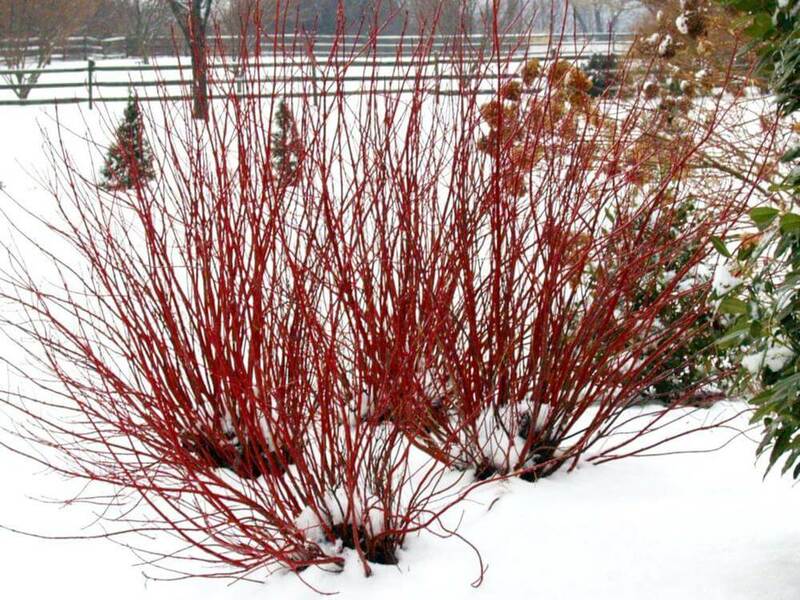 Red Ozier Dogwood Live Stakes gets its name for its bright colored twigs. This plant has red twigs, flowers, and berries. During the winter months as the snow falls upon this plant, it will show a bright beauty and color. The red will stand out against the white snow. This plant can be planted from other twigs that are cut off as they are blooming or alive. Plant Red Ozier Dogwood Live Stakes. Planting stakes is a great way to establish shrubs. Red Ozier Dogwood shrubs offer charm to any landscape design. These shrubs do well in moist soils. The Red Ozier Dogwood is a small grower.